Adventure in Iceland: 10 Things You Can Do From Reykjavik - Holy Smithereens! Cold is the new hot. This is one of the official travel trends released by Virtuoso this year. It means that travellers are opting to go to colder places for their travels. And this is why Iceland has become quite a popular destination over the last few years. In fact, since 2010, Iceland’s tourism has nearly quadrupled, sparked by the locations in the country appearing in the Game of Thrones television series and various Hollywood films such as Star Wars and Interstellar. Blockbuster films aside, one of the main reasons why travellers flock to the country is because Iceland is the most accessible place in the world to see the Northern Lights in Iceland. But many are surprised to know that there’s a ton (more than a ton actually) of activities that you can do in Iceland beyond seeing the Northern Lights. While its a popular option to hire a car and self-drive around Iceland, ( this kind of itinerary requires more than a week), the beauty of Iceland is that you can still do so many activities while basing yourself in its capital, Reykjavik. I personally was able to do all of these within a week in Reykjavik. 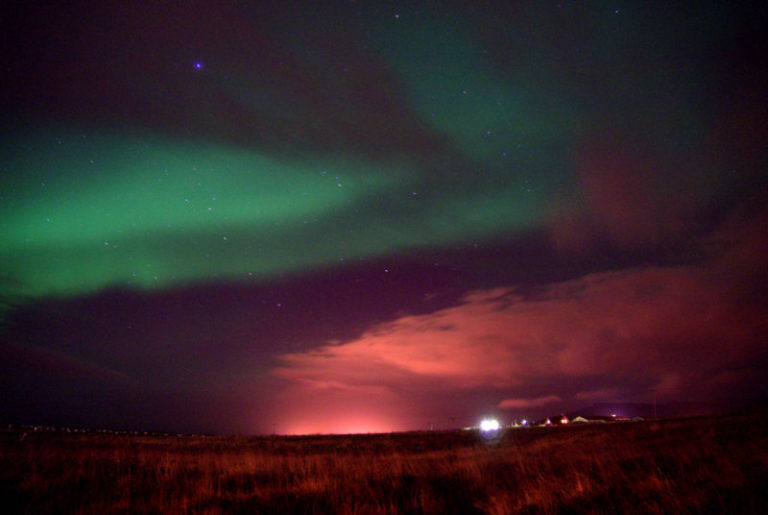 Iceland is the only country in the world where you can get a glimpse of the Northern Lights from its capital. It is advised that the best months to see the Northern Lights are from September to March, as these are months where there is full darkness at night. One thing to remember about trying to see the Northern Lights (aka Aurora Borealis) is that this is nature, and it is not a guaranteed show. So I suggest you leave some flexibility in your plans. On our trip for instance, the Northern Lights did not appear on the original date of our tour so we rebooked it the following evening (our last evening in Iceland!) Thankfully, the Aurora Borealis appeared on our last night, so it was definitely worth the wait. You can read more about our experience watching the Northern Lights dance here. 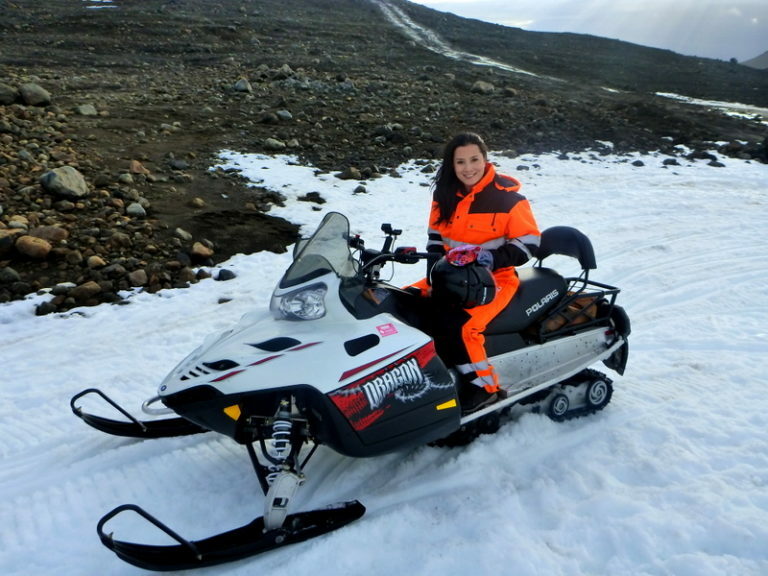 Coming from a warm country, I have never snowmobiled before, let alone snowmobile on a glacier. So this is one of the first tours that I booked prior to our arrival in Iceland. This tour takes an entire afternoon, and most tour operators will include pick up and drop off from/to your hotel in Reykjavik. We were told that snowmobiling is “just like water-skiing”, but I beg to disagree: Snowmobiling is much more exciting! This takes place in Langjökull Glacier, which is about 45 kilometres from Reykjavik, so expect a 40-minute drive to and from the city. Read all about our afternoon snowmobiling at Langjökull Glacier here. The Northern Lights may be Iceland’s “superstar” but one experience not to be missed and probably the second most popular attraction in Iceland is Lake Silfra. Not only does Lake Silfra have the clearest visibility underwater (as the water in that lake comes from the glaciers), it is also the site where you can literally swim between two continents – North America and Europe. Silfra is a fissure between the North American and European tectonic plates. 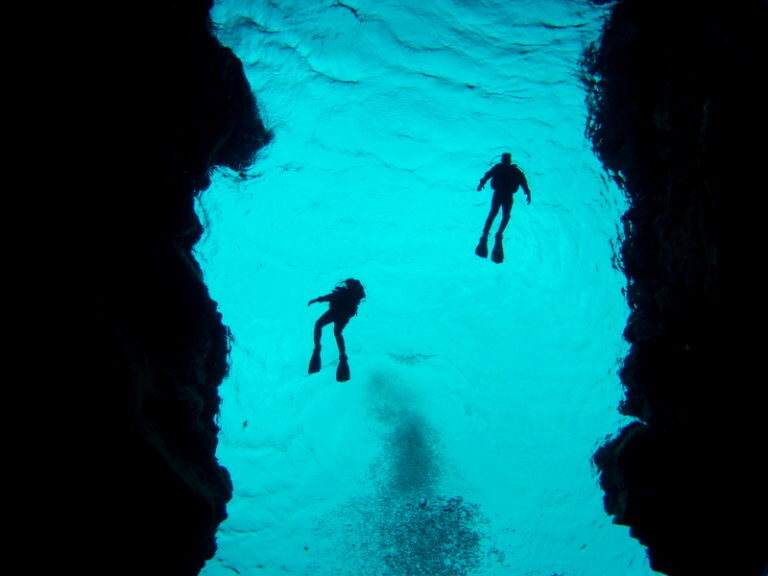 The rift was formed in 1789 and Lake Silfra is the only place in the world where you can dive or snorkel directly in a crack between two tectonic plates. Tip: the diving here requires dry suit and they are very strict about diving license so be sure to bring your license and logbook. This was my first time to dive in a drysuit and it proved to be challenging, but probably the most rewarding dive I’ve ever had. Read all about my experience diving in Lake Silfra here. If someone you know has visited Iceland, I can guarantee that you would have seen their photos in the Blue Lagoon. The lagoon may be man-made but no visit to Iceland is complete without a dip at the Blue Lagoon, along with trying out their silica facial mask (free as it comes from the lagoon). The Blue Lagoon is just 23 kilometres from Keflavik Airport so this is a popular stopover package for travellers. To those who are visiting Iceland for a week or so with an action-filled itinerary, I suggest you book your day at the Blue Lagoon at the end of your trip as it will soothe all those tired but happy muscles. 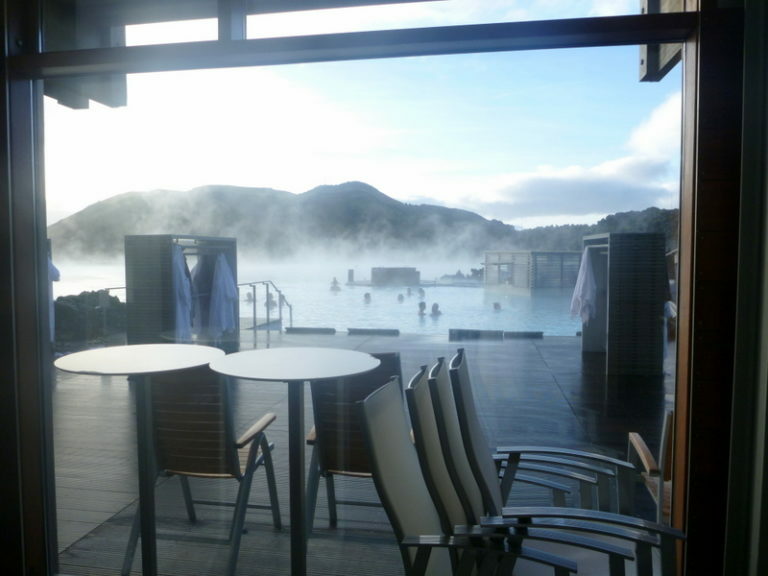 Read all about my day at the Blue Lagoon here. If you have limited time in Iceland, or are not so inclined to participate in all the adrenalin rush-inducing adventure activities, I highly suggest going on the Golden Circle tour. The Golden Circle tour takes you to three stunning sites in Southwest Iceland: Thingvellir National Park, the Geysir Geothermal Area and Gullfoss Waterfall. These sites will allow you to view and experience firsthand Iceland’s dramatic geology (and you will understand why Iceland is a perfect candidate for film locations) You will also learn about Iceland’s history as this is the site where Iceland found its first parliament in the year 930 AD. You can read all about our day touring the Golden Circle here. Apart from riding amidst a dramatic geological background, the main reason one should try horseback riding in Iceland is the Icelandic horses. To see them in person was already such an experience for me. These horses are feisty, energetic and full of character. No other species or breed of horse exist in Iceland, and the government is very strict in keeping it that way. Here’s a movie trivia: Lord of the Rings was thisclose to being shot in Iceland. 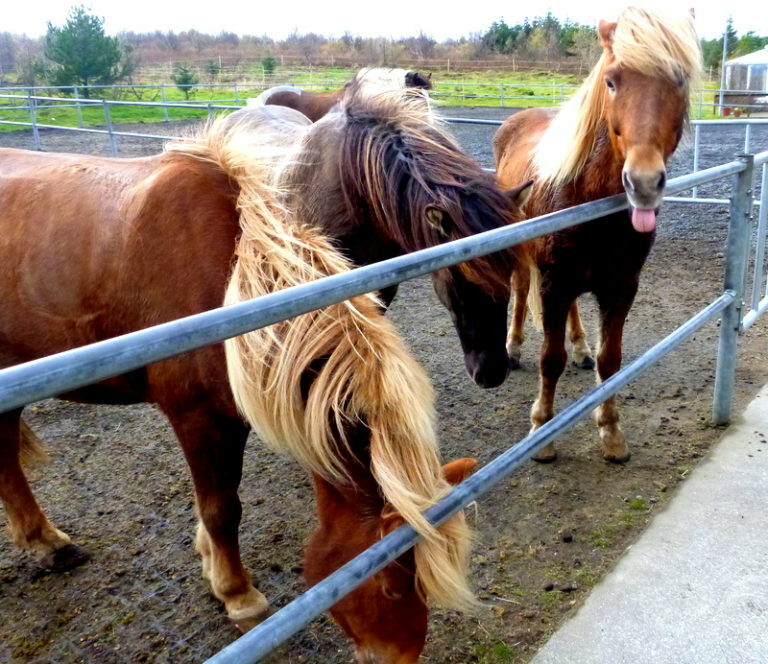 But because of the Icelandic horses, the government could not allow the film production to have bigger horse breeds in the country,even temporarily. Riding an Icelandic horse is definitely an experience to remember, they may be smaller than your average horse, but they are robust and have such strong personalities. Read all about my experience horseback riding in Iceland where I rode along lava fields and rock formations here. Are you afraid of the dark? I hope not, because this is one of the most exciting and unique activities you can do in Iceland. I’ve only gone spelunking twice in my life, and the lava caves in Iceland are quite unique because unlike most caves, the floor is not slippery or glistening wet despite the cave ceiling dripping water. This is because lava caves are porous, so no water accumulates on the floor. This makes a huge difference in spelunking because it means it is safer as you are less prone to slipping. 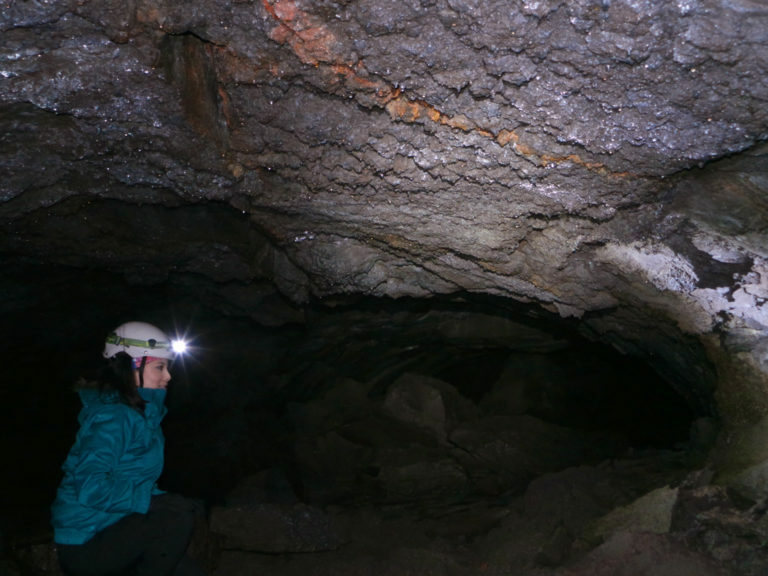 Read all about my experience exploring the lava caves in Iceland, where we came across the remains of what seems to be a wild goat that is estimated to be thousands of years old. The good news is, you can dogsled year-round in Iceland. Even on months without snow, the sled can go on grass fields. The best part about dogsledding in Iceland are the adorable huskies! 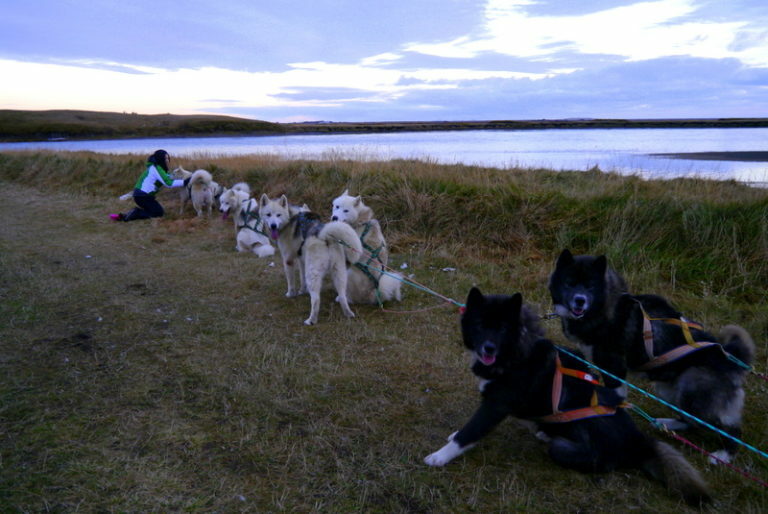 I had a grand time being pulled by these Greenlandic huskies, and later on playing with them. This tops my favourite activity in Iceland and would recommend to anyone who appreciates nature and huskies (or dogs in general). The dogsled activity is located in Holmasel in the South Coast (close to Selfoss). It is 70 minutes from Reykjavik, and the scenic drive from Reykjavik to Holmasel alone is worth the trip. Read all about my afternoon dogsledding in Iceland. 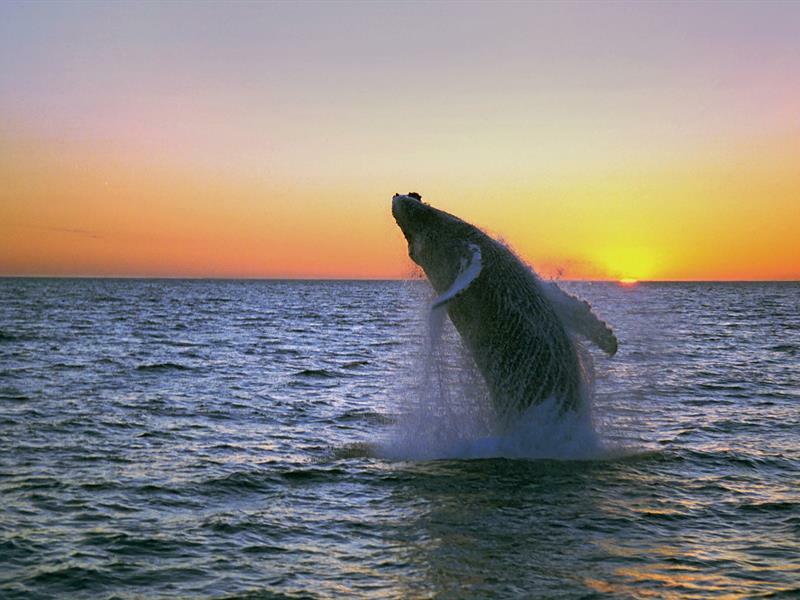 Whales are a significant part of Icelandic folklore, culture and history. It was written in the saga of King Olaf Tyrggvasson (King of Norway from 995-1000), when the devious Kind Harald Bluetooth was planning to invade Iceland, he had a sorcerer take the form of a whale to do a ‘reconnaissance’ scouting of Iceland’s vulnerable points. Fast forward to today, you can get a glimpse of Iceland’s 6 species of whales and dolphins on a whale watching tour. It is freezing cold to be out in the middle of the sea in Iceland but most whale watching tours will provide you with proper gear and attire. Read all about my experience whale watching in Iceland, and here are more information about the activity. In terms of physical difficulty, this probably tops all the activities in this list. But it is also the most rewarding and exhilarating activity in this list. Prior to this activity, my only familiarity and knowledge of ice climbing was a classic nintendo game back in the 80’s. So when it came to actually doing it in real life, I was a little nervous as I knew it required a certain level of physical fitness. It didn’t matter that I knew how to wall and rock climb. Ice climbing is an entirely different ball game as you have to lift your weight with a pick axe that you yourself would have stabbed in the ice. 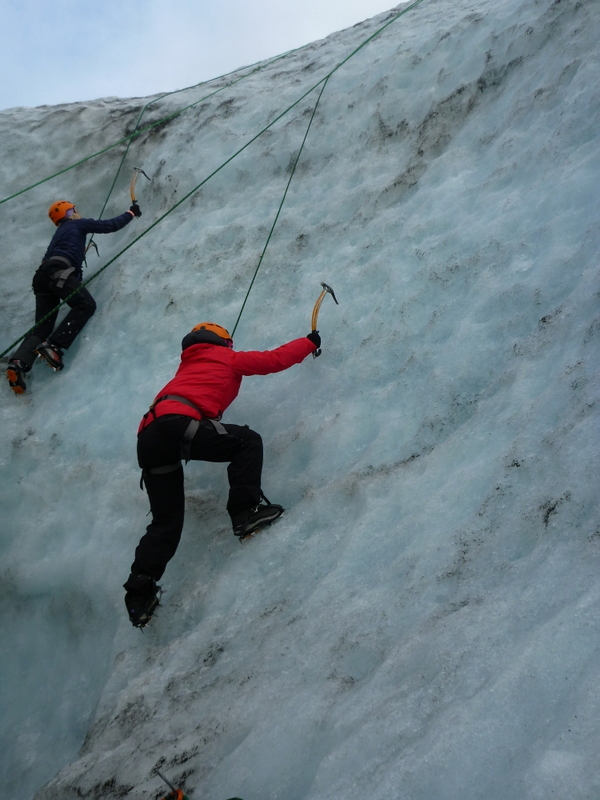 If you are a hiking or climbing buff, or someone who is simply up for a good adventure and would like to push your fitness (and get stunning views of Icelandic glaciers at that), ice climbing in Iceland is an absolute must-do. You can read all about my day ice climbing in a glacier here. There is good reason that Iceland is fast becoming Europe’s capital of adventure. I still can’t believe that I was able to accomplish all these activities staying just a week in Iceland, and never even moved from Reykjavik. Is Iceland on your radar? Which of these activities are calling out to you? Iceland is one of the best places I have visited. I was there when the country was not as popular. It’s one of the place I want to see. Recorded on my bucket list. Fantastic place, especially overlooking the Northern Lights! Thanks for sharing! I also want to live in Iceland. What do i have to do for this? Thanks for this blog, I will definitely try to do at least a few of these activities.